Does this sound familiar? Every year your bathroom counter seems cluttered by an increasing number of new products. It’s easy as we age to fall prey to the latest skincare miracle or makeup magic. But are you really getting your money’s worth when you buy that $150 face cream? Probably not, according to a recent article in the Huffington Post. 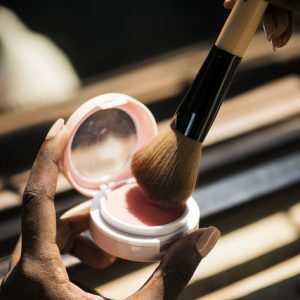 Since it turns out that marketing is the biggest expense for selling a beauty product, chances are you’re more likely paying for the allure of luxury rather than the reality of a product worth the cost. According to Perry Romanowski, a cosmetic chemist and founder of the website The Beauty Brains (“Real Scientists Answer Your Beauty Questions”), “Product cost has little to do with the effectiveness of the product.” So don’t ditch your drugstore moisturizers quite yet. And what about makeup? There’s no lack of advice on the internet for women who want to improve their makeup skills to coincide with their changing faces. Perhaps the most popular post floating around the web right now is the story of Callista Lorian, a young makeup artist who posted on Instagram a makeover she did for her mom that’s now gone “viral.” While there’s no miracle involved, the before and after photos do reveal some magic that can happen if you know the right techniques and products to use (which she describes). So wipe off your makeup mirror and take some advice from Callista here.